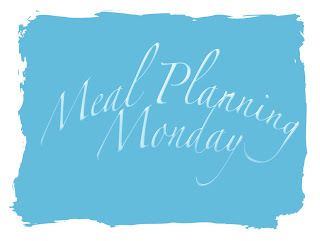 Meal Planning Monday 25/06/2012 – there is no plan! I am currently sitting on a train on my way to London, having got up far too early this morning. Yesterday I was on a train coming the other way, returning home after a brilliant couple of days at the BritMums Live blogging conference. The last 24 hours have been a whirl of collecting the kids, thanking our friends profusely for having them, getting home, unpacking, putting the washing on, trying to remember what day of the week it is, and finally sleeping in my own bed again. Consequently this week, as far as meal planning is concerned, there is no plan. I’ve switched my working days around as there are some important things I need to be at work for happening on my usual non-working days, and I have to be in London for 3 days – there and back today and then staying over Thursday night. I haven’t dared to look as far ahead as the weekend in my calendar, just in case we’re busy then too. Monday: my train gets in just before 7pm. I suspect a takeaway care of Just Eat is on the cards. Tuesday & Wednesday: I’m not working on Tuesday, and will be looking after the kids all day, but the geekdaughter has a school visit for a couple of hours which might correspond with the geekson’s nap if I’m lucky, so I’m hoping to get out to Waitrose and grab a couple of meals for the geekdaddy and me. Friday: I’ll be back from London quite late again, so unless I was a superstar with the shopping on Tuesday we’ll be having takeaway again. The weekend: hopefully I’ll have caught up with myself by then! Sorry to be somewhat chaotic this week; I am really looking forward to this week being over, and hopefully work will calm down a bit and allow me to catch up with myself again! If you were looking for a proper meal plan, I recommend you check out those linked on At Home With Mrs M‘s meal planning post – I am sure there is a good selection there! Sounds like you are having a busy week then?! I’m glad to be home but it’s chaos trying to get back on top of the washing & ironing and I’ve only been gone for two days! I mentioned you in my latest post about BML- it was lovely seeing you and meeting GeekDaddy. I like his photo on your Silent Sunday BTW! Cor you sound so busy, I don’t know how you do it. It was lovely to meet you and the Geekdaddy on the weekend, thank you for coming over to me.